The evening of Guru Divas September 5 was dedicated by the people of Tigiria to the fond memories of their great teacher, Pundit Narayan Dash, who passed away on August 29. The cream of intelligentsia was one with the common man in recalling how Pundit Das had contributed his best to development of modern education in the former Princely State. 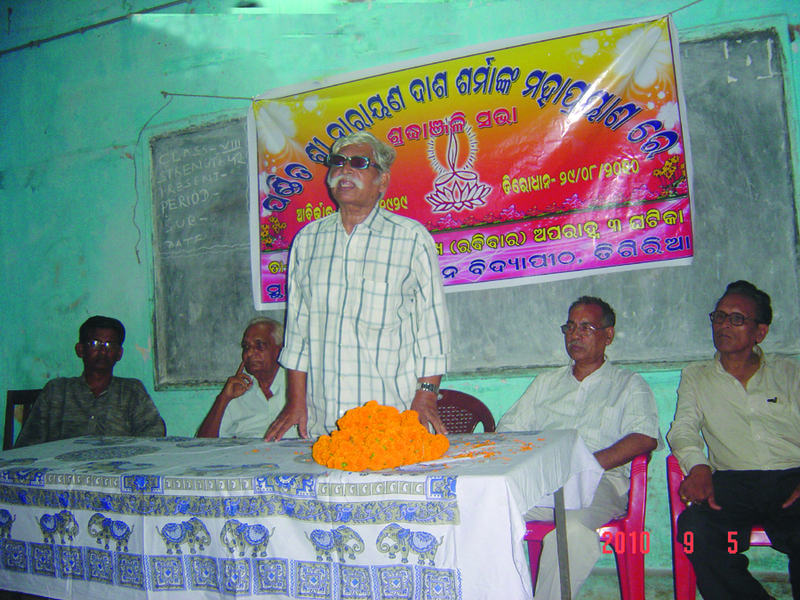 The obituary meeting was convened by his student and former MP (Rajyasabha) Subhas Mohanty. 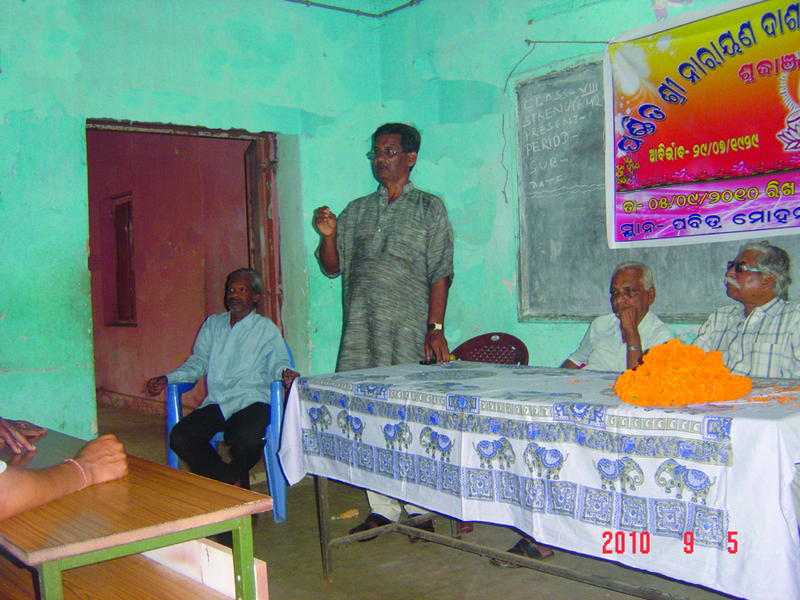 Journalist Subhas Chandra Pattanayak, his student, presided over the event. In the podium, others present were his childhood friend, Advocate Prafulla Kumar Mishra, his student, Advocate Adwaita Charan Panda and his colleague for a period, advocate Prana Krushna Dash. 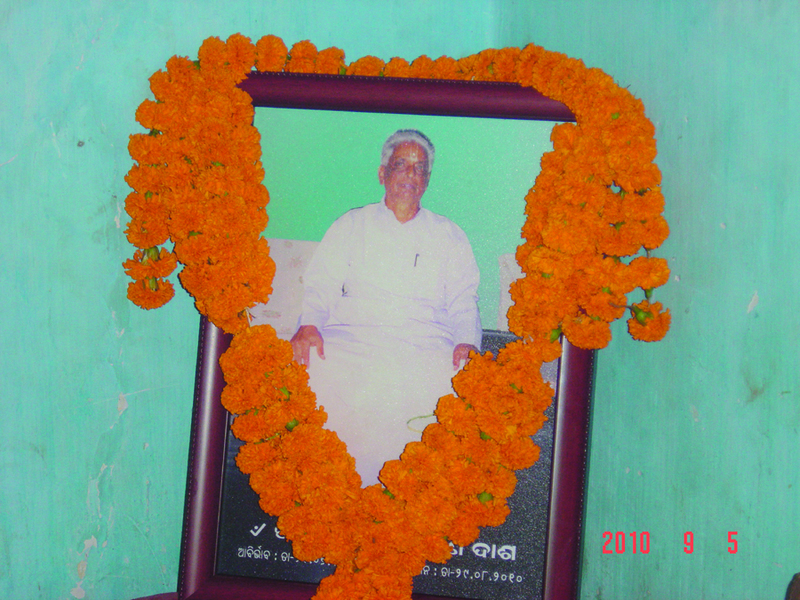 Social activist Pranab Kumar Pattanayak initiated the obituary. The meeting was held in the Hall of P.M.Vidyapitha, the first High School of Tigiria of which Pundit Dash was one of the founder teachers. His devotion to teaching and his uncommon commitment to transform the School to a man making institution and his contributions to making the School a center of social relevance was held by one and all as unique. Surya Narayan Mohanty(Advocate), Prasanta Kumar Pattanayak (Advocate), Subodh Chandra Pattanayak(Educationist), Lalita Krushna Das (Advocate), Lokanath Sahu (Businessman), Prafulla Kumar Maharana (Educationist), Mayadhar Sahu, Sushil Kumar Nanda (Social activist), Rabi Narayan Panda (Educationist), Trilochan Mishra ((Cooperative movement), Bijay Kumar Raut Educationist), Bikram Keshari Dash (Advocate), Jagabandhu Tunga Samanta (Culture activist), Girija Pattanayak (Social activist), Shankarshan Mohanty (Advocate), Rabindra Kumar Behera (Educationist)and Aniruddha Raut (former Teacher and Agriculturist) also paid their obituary respects. All who offered their obituary respects were one in recalling how a matchless epitome of humane character was Pundit Dash. He was an unique teacher who had never been harsh to any student, but in whom every student was seeing his source of inspiration, they said.